I'm having a problem with chronic itchy skin. I had perfect skin 29 years ago...a stray cat rubbed up against me and I got a scaly rash... Then it seemed like it went away. I guess it got under my skin, I started to itch on my leg... it spread from one leg to the other and long dark lines formed with what seems to be a flower pattern, up my legs and all over my body. I itch all over and no longer can wear shorts. At one time I saw a doctor and he gave me some type of prescription antihistamine along with a steroid as an enhancer. It was working but I quit taking it and the doctor is retired. Now no doctor can figure it out. I am going crazy and am at the end of my rope. Can anyone help me? Am I understanding you to say that you have been dealing with this chronic itchy skin and rash for 29 years? How long were you on the antihistamine and steroids? Apparently they were giving you some relief from the symptoms but not dealing with the underlying cause of the problem. That's really what you want to target. Get rid of the underlying cause and the symptoms will automatically go away. Since the doctors can't figure out what it is that is causing this problem, I would suggest a general internal cleanse. If you use something like Herbal Fiberblend for cleansing, you can cover a wide scope of issues and stand a good chance of eliminating whatever it is that is causing you to break out in this itchy rash. It could be something from that cat all those years ago, or it could be something else that you were exposed to and you didn't realize at the time. It's very difficult to tell after all these years. 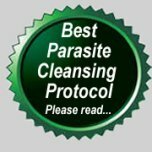 I would suggest you use the HFB for at least 3 months to ensure you get a good, thorough cleanse. It's always good to try to boost your immune system, too, while you're cleansing. It gives your body more than double the ability to fight off any oddities it is dealing with. You might want to consider Florafood, the Garden Trio, and/or AIMega for that purpose. Hoping you will be able to follow this protocol and get rid of the chronic itchy skin for good!